4 Powerful Words: What Do You Think? On Point Lean Consulting provides on-site Lean Construction coaching and training for owners, builders, and designers looking to improve the delivery of capital projects. 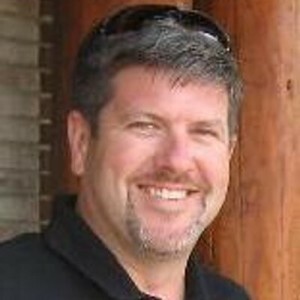 Dave MacNeel, founder and the principal was my guest last week on the podcast: Becoming a Lean Construction Consultant. Joe: Welcome everyone. This is Joe Dager, the host of the Business901 Podcast. With me today is David MacNeel. He helps teams and individuals change their thinking and their processes to be more efficient through greater collaboration, planning, and continuous improvement. He does this through his company On Point Lean Consulting, a leader in Lean Construction management and project planning. Dave, I’d like to welcome you and maybe clean up that introduction for me a little bit and give the audience a little background about yourself. David: Sure Joe. Thanks for having me. I started my career in construction quite a long time ago. I can trace it all the way back to the early 70’s when I was a young kid, and our family moved to Dayton, Ohio. A subdivision was being built right outside my house, and I spent a lot of time bumming around the construction sites and bothering the construction workers on a regular basis. Fast forward to several years, I decided to go into construction management. I got a degree from the University of Cincinnati. From there, I got a job with Baker Concrete Construction, who’s based out of the Midwest and in and around Cincinnati. I started with them in Houston, Texas as an estimator and became a project engineer. I was a superintendent on several projects. I became a project manager and then finally winded up my career as an operations manager for a region in the Midwest. I found Lean Construction in around 2001 as a result of some studies I was doing for my MBA at Xavier, and we read a book called ‘The Goal’ by Elihayu Goldratt, and it really got me thinking about production planning. The book was all about manufacturing, so it was a stretch to bring it into construction, but it really got me thinking and changed the way I was starting to approach some of the projects we were building. So that was kind of how I got started in it. Joe: I take it you were a construction project manager type of person first; I assume? I guess what drove the need to use Lean in construction and your planning discipline because you were pretty early. In 2001, there wasn’t a whole lot of people doing Lean Construction yet. David MacNeel: Right, yes and it wasn’t called Lean, and I didn’t even discover Lean Construction until around 2005 and 2006. So yes, I was in operations running a division. The CEO, the President of the company Dan Baker, put some pressure on to say, “Hey we hear about this thing called Lean Construction from some of the circles and we need to figure out what it is and how it applies and if we need to be doing this.” I was drafted, conscripted if you will into being the person to go in and figure out what this Lean Construction is. I started where most people do, with a search on the internet and looked for some books, but I didn’t find anything out there. There were some research papers that talked about Lean Construction, but they didn’t make a whole lot of sense to me. I fumbled through it for about… Oh, I don’t know, maybe 16 or 18 months and I kept getting requests saying, what is this and do we need to be doing this. I still had my day job, and I wasn’t finding a lot out there, but what I did find about Lean was there were some general contractors, a handful, just a handful that were doing it. There were no subcontractors doing it at the time. I looked at that and said, well it looks like just a management tool and it sounded like a way to really get general contractors to keep their thumbs on the subcontractors, is what I thought it was. The pressure kept coming; we needed to figure out what this is, and I finally went to a Lean Construction Institute seminar, a two-day seminar by Greg Howell and Glen Ballard in Cincinnati and the light really came on at that point. I thought, oh, there really might be something to this. The pressure kept coming to try it and do it, and so finally we decided to pilot it on a project that was starting right at the beginning of 2007. It was one that was in our backyard. It was close to our corporate office. I was heavily involved in the project. I could be there on a very regular basis to usher the program. We brought in some consultants who kind of taught us the Lean processes, and I saw it making a difference immediately. It got our crews planning, collaborating and thinking about their work in a much different way. The surprise there is that that was one of the first projects that I’d ever lost money. I was a very successful project manager, operations manager and this project not only lost a million in profit that we were supposed to make; it also went out of pocket a million dollars. Everybody threw their hands up and said, oh this Lean stuff doesn’t work….yeah, good job Dave. I was really tore up because I knew that our teams were scheduling, and thinking, and planning, and helping each other out much better than they had in the past. So I went back and did a study, and I pulled a lot of similar projects that Baker had done around the country. I found out in the past and the prior six years, the first one we piloted Lean on actually wound up being the second highest productivity project we had had. Well, okay, it wasn’t because of the productivity; it was because of the sales price. We sold a $15 million job for $13 million is what happened. As a result of that, we said, okay there is something to this. Even thought the job was a loser, we still want to keep doing it, so we decided to roll it out on all the projects I was running in the Midwest. It was five major projects in our second year, that was 2008, and we began to definitely see the improvements in productivity, and safety, and schedule, and quality. Everything was getting better across the board. That’s kind of how we got started. Joe: How do you get started? I mean you’re used to I would assume, kind of that Gant chart type looking at things, scheduling and all of that. Okay, we’re going to start Lean project planning, and you grab a group of guys together, and they just all look at you saying, where’s the schedule and what are we doing? Can you describe that, maybe in that first five minutes with them when you introduced it to them? David: You start with some background of Lean and some Lean training. We did it with a boot camp, and I continue to do that today with project teams. We start off with this boot camp. Boot camps to me are about 50% inspiration and 50% education. You really want to get people fired up about it and thinking about it. At least, you want a little crack in there thinking that maybe there’s something to this Lean stuff. You want them to be receptive to it so once the real tool training starts; you ’ve got them on your side. I like this quote from Antoine De Saint, I just found it recently, saying, “If you want to build a ship, don’t drum up the men to gather wood, divide the work and give orders. Instead, teach them to yearn for the vast and endless sea.” I love that quote. That’s how you get people started, and then you jump into some of the tools which primarily start with pool planning. Sequencing the project, getting commitments from folks to do the work, and you’re finding out the constraints, you’re finding out their needs, their conditions of satisfaction for the handoff, what do they expect to see when they show up, what do they not expect to see, and you get people making deals if you will to do the work in a certain way, and that eliminates a lot of the waste. Joe: I think I’ve heard Alan call it promises and that’s what you’re saying is that they’re making commitments to each other. It’s kind of that Lean principle and respect for people, right? David: Exactly, respect for people. I read a good story J.W. Marriott Jr. who said the four most powerful words he knows is ‘What do you think?’ I was asking folks what do you think? Here’s a plan, what do you think, and then getting reliable promises, reliable commitments from folks to do that walk. Joe: Lean Construction, really one of the foremost disciplines think that uses Lean in project management. You mentioned pull-planning, sequencing, develop commitment, why do you think Lean Construction was driven to Lean around that project planning scope over the more traditional – build the value stream, get rid of wastes and the other different types of it? David: The Lean processes really seem to change the way you think about projects. Again with pull, you think about building them backward. You start with the end in mind, and then you build a production plan based on what the last operation needs, and then what the second to the last operation needs, and then what the third to the last. You start with the downstream milestone or the downstream end goal if you will, and then you figure out that downstream is pulling the upstream activities. That’s something very different than traditional management where you start at the beginning, and you push everything to the job site in some kind of a sequence that you think you need to build the project, but it’s totally missing that commitment of the people doing the work. Joe: I think of Lean project planning with all these post-it notes on this huge, huge wall that you’re sitting there because the most popular Lean construction projects are pretty formidable projects. Can you maybe make that connection of how it can be so simple with the post-it notes on the wall and we can transform that into buildings and that type of planning? I mean, what’s in between all that? David: With the pull planning, again that’s generally the starting point for Lean thinking on projects. It’s not the ‘be all, end all.’ A lot of folks think it is that once we do the pull plan and we put all the sticky notes up on the wall, we’re done, and that can’t be further from the truth. It can be on large projects; they generally see the most value in doing the Lean planner system. But it can be done on any kind of project. It can be done on a very small scale; I’ve done them on a little 10-week freezer installation at a grocery store that wasn’t going to stay live for the whole duration of the construction and how they were going to do that. It doesn’t necessarily have to be these mega projects. And it is being used on nuclear power plants; I’ve used it on several, but that’s just the starting point, and it’s very low tech. The beauty of the post-it notes is that people are writing down what’s my task, what’s my duration, what’s my crew size and what’s my trigger? What triggers me to start my work? It’s part of that investigation if you will or uncovering of all these hidden assumptions that are in projects when people are starting them; as far as the direction, the flow, who’s going first, who’s going second. Now obviously Building Information Modeling, BIN, can help you see in advance through virtual reality what’s the highest thing in the ceiling, what’s the lowest, who needs to go first. But using the post it notes gets people to write down what they intend to do, and once somebody writes something down, they really want to move heaven and earth to make that happen. So that’s the beauty in the post it notes, and it doesn’t have to be anything special or high tech. I know there are a lot of different software that’s coming out, to try to make it digital and virtual and things, but it’s really simple. People ask me all the time, what’s the technology behind Lean, and I generally hold up a post-it note and a Sharpie marker and say, here’s the technology. The thinking is between your ears. That’s where the magic happens and getting everybody together at the same time. Joe: I think that’s so true. You know most project management type things say what software do you use, and you just look at the person and really it doesn’t make any difference, right? David: Right. Some of the software can help. It can help when you get these very large and a lot of moving parts and you’re trying all these different buildings and trying to keep them sorted. There definitely can be some advantages to software, but I generally encourage folks to start with paper and pencil. Joe: Maybe I’m shortchanging Lean a little bit in construction because I love project management, and I like to talk about the last planner and integrated project delivery. Has construction companies really taken Lean as a philosophy, thinking of themselves as a Lean organization now? David: Very few that I know have. A lot of them have instituted some of the Lean process and tools across the board, and I think there are some of the companies that do it the best because this is our policy, this is our process, but the vast majority out there are still getting into Lean. They see it as a tool. They’re using it as a project tool, and that’s okay. You have to start somewhere with Lean. I got some advice by John Shuck at a Training within Industry Conference once when I was first exploring this, and I was like, wow, this is overwhelming. There’s so much waste; there ‘re so many places to start, and he said very simply to me, he said, start with need. Start with need. Start with where your value is being created first; using the Japanese term Gemba for where value is being created. Go to Gemba, figure out what your customers are paying you for and start there, and then you can start working your way backward. Get those momentum there and prove those operations and then you can kind of stake it back into the entire corporation and then start bringing Lean into your accounting, Lean into your purchasing, Lean into your contracting and risk department and scheduling and things like that where everybody can make improvements with Lean by just simply eliminating wastes, looking for flow, looking for value. I don’t typically see it, and it hasn’t gone to that level where these entire corporations are Lean. They’re few and far between, in any industry really. You have some stars out there like Toyota, but everybody else seems to be kind of following and trying that and confusing it with the tools with the thinking. Joe: On Point Lean, your company, do you help with primarily the project delivery side or do you get into that Lean philosophy with companies? David: It’s primarily working on the delivery side, working on the deliverable, kind of a project by project basis but we also work with Lean transformation companies that really see it as value, want to make it stick, want to develop Lean champions within their organizations and spread it. That’s the thing. You can do a quick injection of Lean, you can see some improvements, but if there’s nobody there to sustain it, to grow it, to continue to learn, it generally dies. And Toyota says that; they have examples where they say that one of their biggest is entropy. It’s going backwards and you see that all the time. I definitely see companies now that are trying to not just roll it out, but roll it out and make it stick. What are those things that make it stick? I always say it’s developing those Lean champions within the organization that can continue. We go in and startup, we help them develop their Lean champions and then once we leave, their champions continue to push the ball. Joe: What has been the major challenge of applying Lean in construction? Is it just education and knowing more about it or is there something else that’s the blocker? David: One of the biggest challenges I’ve come across is people think they already do Lean. They think they already do all this stuff. We already plan, we already schedule, we don’t waste anything. And in general, that’s sort of true, but maybe not at this level. Not at the level that Lean takes it to with really diving in, really getting solid commitments, really looking at waste and the processes, really taking it apart. I say we build projects a lot like we do home projects where, hey I’m going to put a shelf up in my laundry, so you go out and you get a board, you get a screw gun, you walk in and your realize you forgot the screws and then you don’t have any of the foreign screws that you need, so you drive down to Home Depot, and you get some screws, and you come back, and you realize, oh shoot you need some washers, and you go back to Home Depot and get some washers. It’s that lack of thinking and planning I think that Lean is really helping companies and projects with. Joe: I think you’re instructing the AGC Lean Construction, or you’re doing one of the courses in it? Could you tell me a little bit about what you’re doing with AGC? David: AGC and LCI, Lean Construction Institute have a partnership. They’re teamed up together; They see it as very valuable to both organizations. AGC has developed a Lean Construction education program. There are seven units to that, and we teach all seven of those units and they just recently in the past month or two released a certification test. Once you’ve taken all seven classes, you’re able to sit for a certification test, and I think they’re calling it a Certificate in Lean Construction or Certification of Management in Lean Construction, I believe is what they call it. They also have Webinars that they do on a regular basis; quarterly Webinars. We also deliver some of those Webinars for AGC as well. Joe: I should mention for the people that’re not familiar, AGC is the Association of General Contractors, if I remember it correctly. Is the course online or do you have attend somewhere to get the instruction? David: You have to attend the course. They have some prep courses. I think there’s an intro that’s like a 1-hour recorded Webinar, but all the courses are in-seat. All seven of the main courses are classes you have to sit through and actually take with an instructor. Joe: What’s the future for Dave and On Point Consulting? David: Well, it’s just to continue to do what we’re doing. I think that we’re still very early on in this transformation of the construction industry, so we definitely want to continue what we’ve been doing, and I really enjoy going out with new project teams that are brand new to Lean, giving them the training, giving them that yearning for the sea if you will, helping them start their journeys and helping these companies develop champions and take it from there. Beyond that is corporate transformations and really getting into the company’s overall plan. I like both; I like the on-site boots on the ground because that’s where I came from, helping project teams, helping project foremen make their lives easier on the ground, but then also taking it back to the corporate philosophies and the thinking that are going to keep it going. That’s been more of my focus in the future is to how do you sustain it and how do you keep it going. Joe: Is there something that maybe you want to add that I didn’t ask, Dave? David: There were some examples and stories from my time at Baker Concrete. We did a very large steel mill in Mobile, Alabama or near Mobile, Alabama. I think the town was actually called Mount Vernon. It’s a case study that I presented at the Lean Construction Institute in 2012, and it was actually fairly remarkable because we actually built the exact same thing and the thing was a hot dip galvanizing line. One of the galvanizing lines, each one was 100,000 cubic yards of concrete, so a very large chunk of work and there were two of them. They were exactly side by side identical projects. One we basically did it traditionally which was just get it done as fast as you can and the other one had some Lean folks that were trained up in the Midwest that was put on it, and they wound up with some pretty remarkable differences. The traditional project had a three-month head start, and they actually finished in the same week. The Lean project used 12% fewer labor hours building it. The overtime was much less; 17% overtime for the Lean project versus 35% overtime on the traditional job. The peak manpower at any given time on the Lean project never got over 270 folks but on the traditional get it done job, it was 420. So a huge difference in the amount of labor required to do the project. And the end result was the final cost; one cost $30 million to build, that was the Lean project and the traditional one cost $35 million to build. So that was a big, huge case study and that’s available I think through the Lean Construction Institute. I have a link to it on my Website as well. Joe: I think that’s really interesting when I hear that because when you think about that for a second, a lot of it is just managing flow, is it not? David: Yes, it is about flows. A lot of it becomes involvement too. Folks know what’s going on, people thinking for themselves, understanding the where are we going next, using the barn from the military term, that commander’s intent. Bringing everybody together; they would come into their trailer, and they would actually sketch up on plastic, they would lay plastic on their table, big sheets of Plexiglass and they would slide the drawings underneath it, and they would color what they wanted to get done next week and they would sit there and talk about it as a team like, I want to do this wall on this north side, I’m going to do this over here, and they would actually come up with a very, very good plan to launch, and they would see problems with the plan. We borrowed that from the special forces where when they’re given a mission, the team takes the mission, just the general mission and they go back, and they plan it, and then they come back and present their plan to their superiors and say, this is what we’re thinking what we want to do. And then their superiors pick holes in the plan and ask them about contingencies and what if this is happening and what is that happens, and then they get the final blessing to go launch and do the plan or execute the mission if you will. Joe: That sounds a little like catch ball to me or not quite, but you throw it over the fence to the one group, and one group works it out and then throws it back and says, what do you think, and the other throws it back to them. David: Right, it’s just the ‘what do you think?’ It’s involving folks in the conversation, getting the foremen to say what they can do and what they can’t do. They might say, there’s no way I can have this over there by Friday. I can have it up to this point. If you can take it over at that point, I still need another four days to finish this piece out, so they don’t jam each other up, and that gets them in the flow. That’s where Lean gets projects into a flow, in a reliable flow with them. Joe: Well you mentioned you had another study, what was that? David: Just several examples of different projects, different types of projects. I worked with a framing contractor on the West Coast, and we were talking about waste and we were talking about small improvements; looking for any little, small improvements that could help with your productivity, your safety, your quality. They took that and just went out, and we were looking at one of their operations, and they noticed that the number of screws that they were putting in the drywall. They counted and said, on average, how many crews are putting in one sheet of drywall in this hospital? And in California, they have to be very, very precise. If the spacing’s off, they make you rip it down and put up a new sheet. They saw that their carpenters on average were installing something like 67 screws per sheet of drywall. And then they said, well how many do we have to install and how many should it take if we do it right? And they said, well it’s only 54 screws or something like that. They saw like, wait a minute, on average, we’re installing 14 more screws per sheet of drywall than we actually need to. Well, that’s waste. And I said, yes, that’s waste. They went back and ran numbers on it, on how many sheets of drywall they actually install in a year and the savings is actually somewhere around a million dollars just at 14 screws at a time, when you do the cost of the screws. But it’s really pennies per sheet of plywood or sheet of drywall, but when you multiply it by all of those sheets that they do in a year, the savings could add up to around a million dollars. That was kind of an eye-opener. Joe: So little things do make a difference, right? David: Oh yes, very little and that’s the whole purpose of the Paul Akers book, ‘Two Second Lean.’ I’m not sure if you’ve heard that or read that, but he gets his people looking for any improvement; even one that can just save two seconds in their day but they’re continually looking for improvements. Yes, little things to add up. He does a video called ‘The Lean Burrito’ that I look to use in my training. He shows how the extra cup of salsa in a cup by itself and the extra fork and knife and spoon, it adds up to 3 cents, but if you look at how many burritos are done in the US a day, that’s $3.1 million in extra stuff and an extra napkin that you don’t need, those kinds of things. So yes, small things do definitely add up. Another example has a different spin on Lean because there was a philosophy that we use at Baker in understanding that different crews have highs and lows during their day, and crews typically get very compartmentalized. They think in the concrete world, you have crews that just do columns, crews that just do walls, and crews that just do decks, and crews that just do shoring and re-shoring and they get very compartmentalized and specialized, and that same example could apply to a whole project where you have plumbers and electricians. On this one project in Seattle, they took this concept of crews sharing, crews talking about what they’re going to be doing each day and looking for when they’re going to have highs and lows in their day. They look at these and say, in the morning I’m very busy with my 6-man crew; I could use a few extra folks. And somebody else says; “Well I’m not busy in the morning, but I’m going to be busier than heck in the afternoon, so I’ll give you my two folks in the morning, but I need them back in the afternoon.” He’s like, great I’ll take your two and actually I’ll give you your two plus two of mine in the afternoon to help you out. They used that kind of philosophy for a multi-story high rise, and they were able to do the whole project instead of I think what they were saying was like a 60-man crew going up to the building and they were actually able to do it with like a 48-man crew for the whole duration of the project because they were sharing resources back and forth. That basically translated to a 12 craftsmen’s savings per day for the entire length of the project and that could add up into; when we ran it, it was like $ 1.8 million in labor savings by just using that one small philosophy. Joe: That’s amazing. I don’t want to leave the conversation here without people recognizing the fact that it’s not all about waste and that it’s really about respect for people and the people part of Lean is really what Lean Construction is all about. Would you agree with that for a summary? David: Yes, absolutely – continuous improvement and respect for people. Waste is just one of the targets that you go after and one of the things that the Lean tools were developed to help you to see. They help you to see waste. They help you to surface your problems and see waste; that’s what the tools are about, but it’s the continuous improvement and respect for people that is the driver of it all. Joe: What’s the best way for someone to contact you? David: The best way is email. It’s just [email protected].